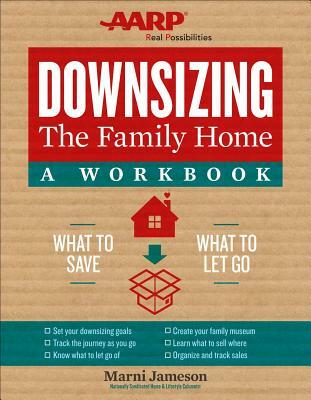 Building on the award-winning Downsizing the Family Home, this guide--part journal, part workbook, part scrapbook--gently walks downsizers through their profound journey. It's just stuff Maybe so, but sorting through it all and quieting the emotions that downsizing stirs up is difficult--whether you're going through your own or your parents' home. This indispensable workbook provides valuable advice and how-to checklists along with a place to reflect, record, and retain an important piece of family history, even as you let go. Nostalgia Memories--not things--matter. Learn to let go of the guilt and sadness that downsizing awakens as you sort through the feelings along with the stuff. Endow Discover why you cling to possessions, and find the freedom to move on to the next chapter in your life. Downsize Roll up your sleeves and dive in Figure out what to toss, sell, donate, and keep, all while maintaining harmony in the family. Keepsakes Save just enough to keep warm memories alive without creating clutter. Readers can easily apply the tips and takeaways they'll learn here as they clear, sort, sell, save . . . and chronicle. Marni Jameson is one of America's most-loved home and lifestyle columnists. Her humorous and helpful column appears in 25 papers nationwide, reaching 7 million readers each week. Jameson is the author of three critically acclaimed books: Downsizing the Family Home (Sterling), The House Always Wins (Da Capo), and House of Havoc (Da Capo). She has written for many magazines, including Woman's Day and Family Circle, and major metropolitan newspapers. A frequent guest on local and national TV and radio, Jameson has appeared on a wide range of programs, including NBC Nightly News, Martha Stewart Living, and Fox and Friends. She lives in Winter Park, FL.